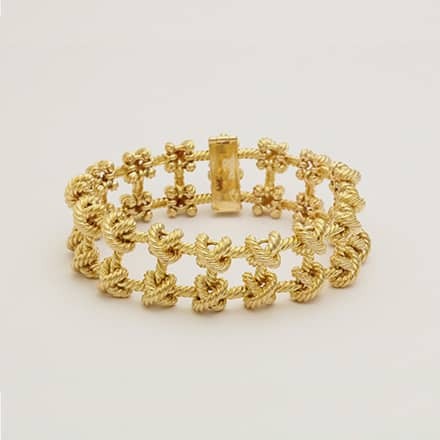 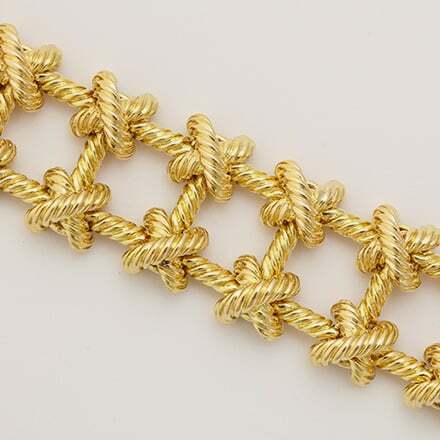 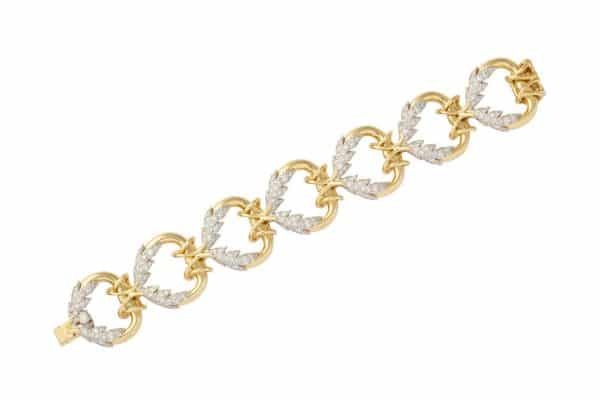 18k gold knotted rope bracelet, signed “Tiffany and Co., France”. Ca. 1970s. 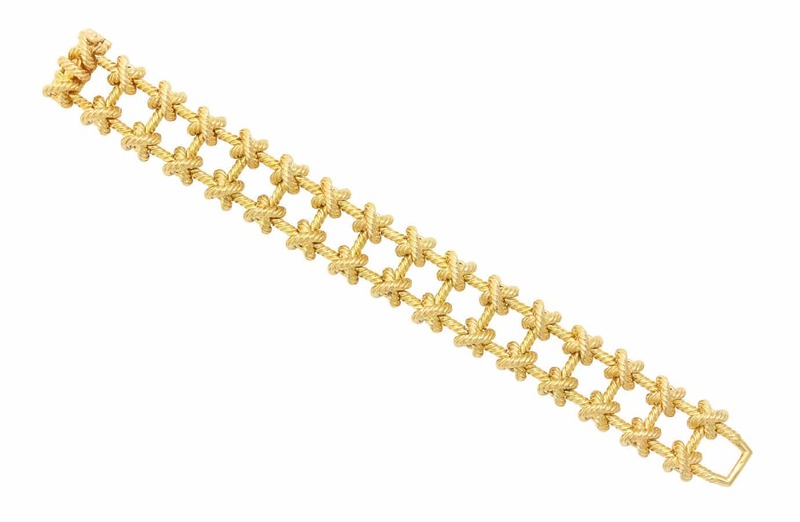 80.98 grams, 7.4 inches long by .5 inches wide.